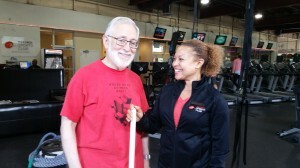 Phil Tofilon, a 62 year-old cancer research scientist at NIH, attends RCSC with his wife, Corie. 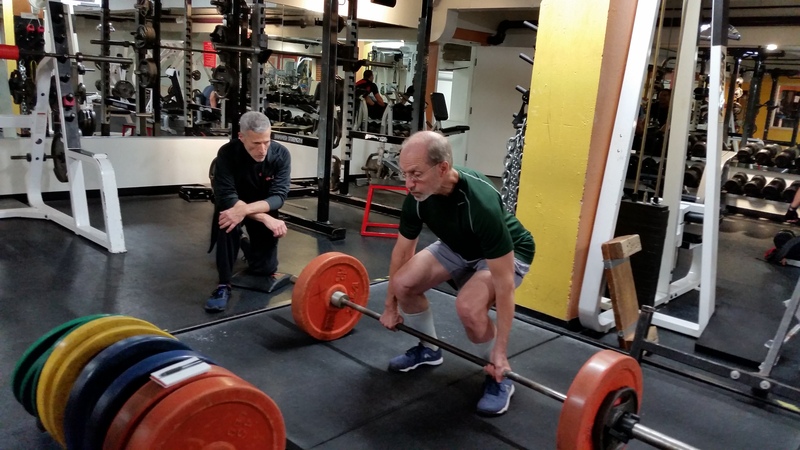 Active in his youth, and an avid runner until 2013, Phil joined RCSC when lower back pain caused him to look for low-impact aerobic exercise and core strengthening. 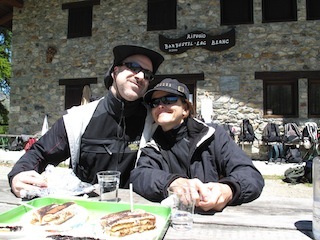 Despite the changes in his exercise regime and ongoing physical therapy, his back problems continued. To alleviate pain and correct lack of mobility, he had surgery in January 2015 to fuse part of his lumber spine. Unfortunately, there were complications. Phil had to undergo three additional surgeries, spending four months in the hospital and two months in outpatient rehab to regain strength in his hands and to relearn how to walk. 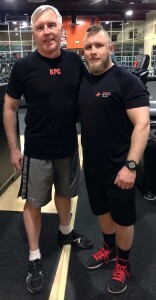 Phil had been training with Steve Basdavanos in 2014. 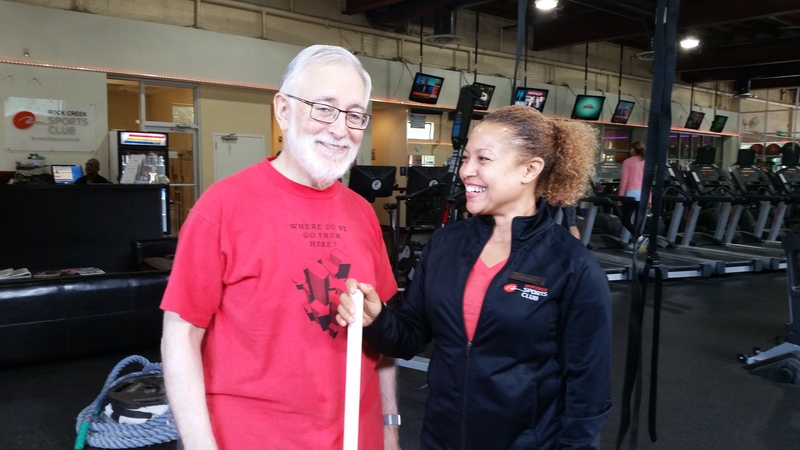 After his surgeries and rehab he returned to RCSC on walking sticks and started riding the recumbent bike. He then added intermittent training with Steve, which turned into weekly half hour sessions. A couple of months later they moved to 1-hour sessions, which they continue today. Phil’s goal was to walk well enough to hike the trails in Rock Creek Park with his wife and dogs. 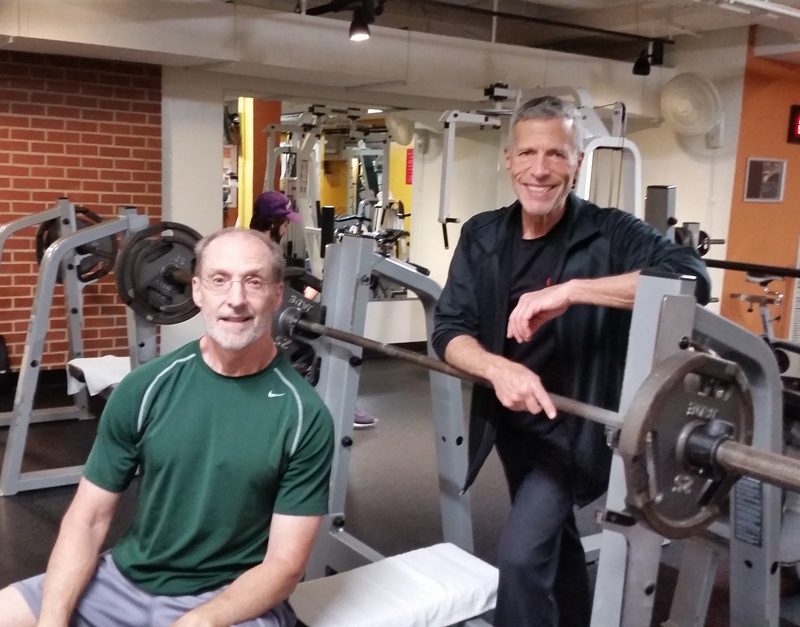 Through training with Steve, perseverance, discipline and motivation, Phil met his goal by Christmas of 2015. He has only continued to improve since that time! Phil also works hard to slow any age-related decline in fitness. 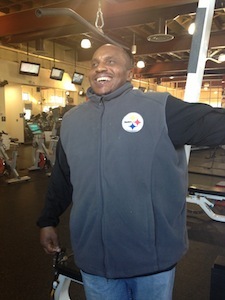 He now works out five days a week: three days focus on aerobics, flexibility and balance and two days on strength. 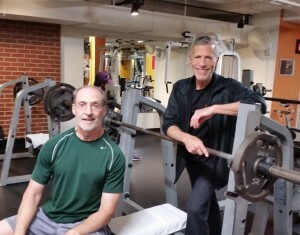 One of the strength days is his training session with Steve, which also incorporates a focus on core work. Phil notes that today there is a great deal more information available on effective training methods as opposed to when he was younger, or even when his kids were growing up in the 90s. 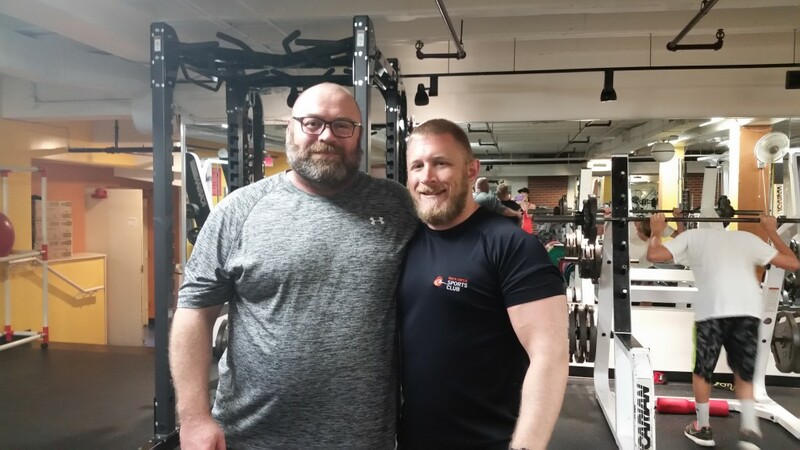 He appreciates that Steve has this knowledge and incorporates it their training sessions, creating challenging yet safe workouts. 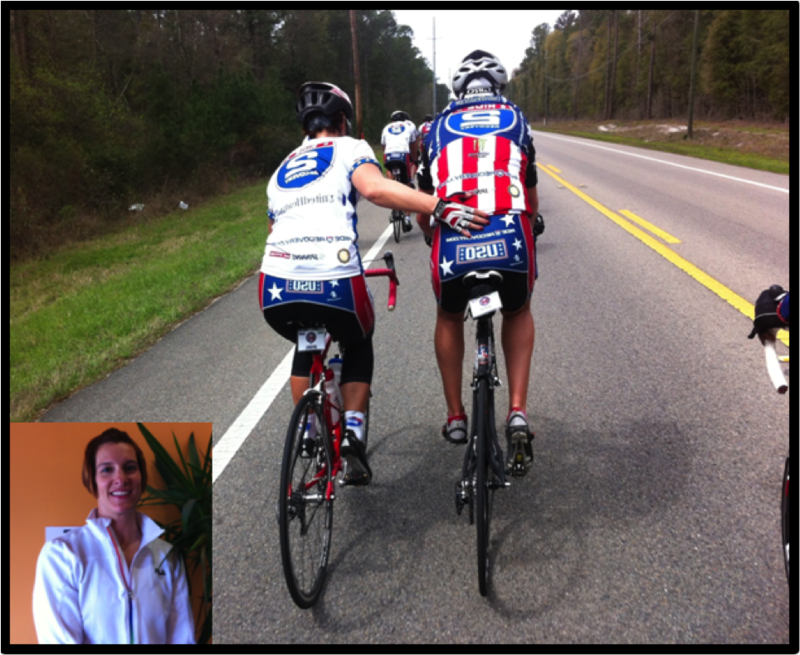 Phil’s hard work is inspiring to anyone who has been set back due to surgery. 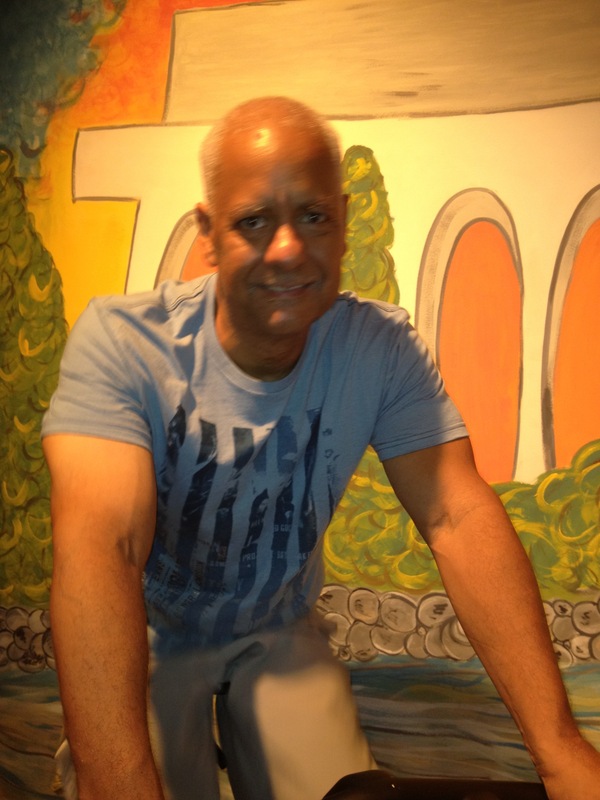 If you see Phil, congratulate him for his perseverance and for being RCSC’s Member of the Quarter! 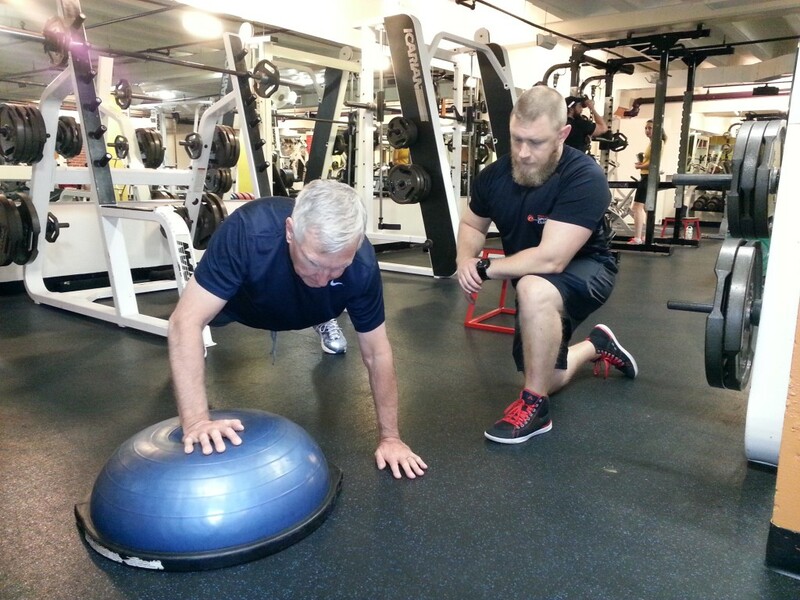 Steve Ehrmann, 68, has always done push-ups and sit ups as a way to stay fit. In his 20’s and 30’s he enjoyed running. 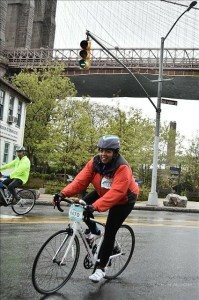 When that eventually caused permanent tendonitis and, later, bone spurs in both feet, he switched to bicycling. 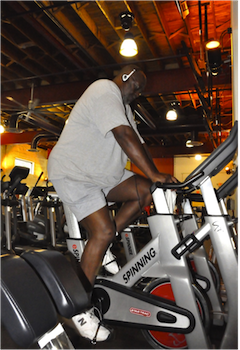 He started outdoors and moved to indoor cycling in the last ten years. It was around this time he joined Rock Creek Sports Club. “I wanted to put off getting rickety as I got older” he jokes. 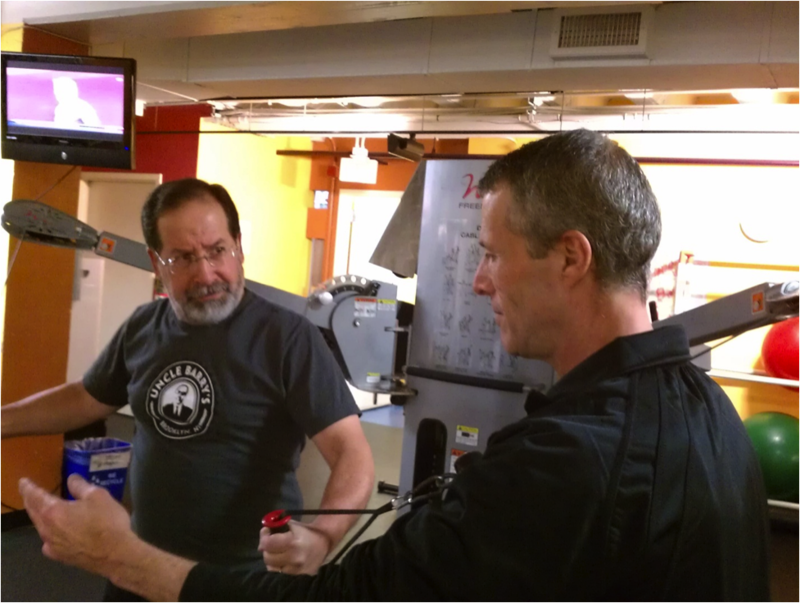 Steve felt the stationary bike wasn’t enough, but was intimidated by all the possibilities the Club had to offer, so he asked for a suggestion for a trainer. Steve started off training two sessions a week. After many months, he felt that his progress was too slow; travel or catching cold could set him back. 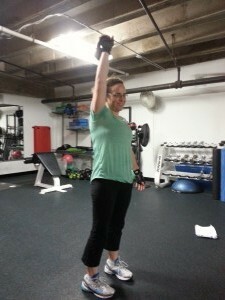 He shifted to three weekly sessions and that has really helped. 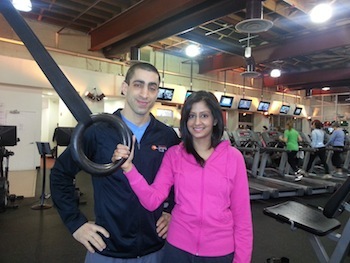 Angela creates workouts for Steve that focus on flexibility, core, and balance. Steve is determined to continue his progress, despite the occasional set-back from injuries and illness and the challenges of travel. When he finds he has been away from the gym too long he becomes “stubborn” again about exercising and gets back into his routine! As a researcher and writer, exercising makes Steve feel mentally sharper. Weight loss helps him feel light on his feet and working out in general has helped ease aches and pains. RCSC staff have truly supported him in his journey. “Wanting [Angela] to be proud of me is a lot of what keeps me going.” says Steve. He believes that when he is training with her he is able to summon up 2 to 3 times the endurance and reps than he could on his own. And Angela is proud! 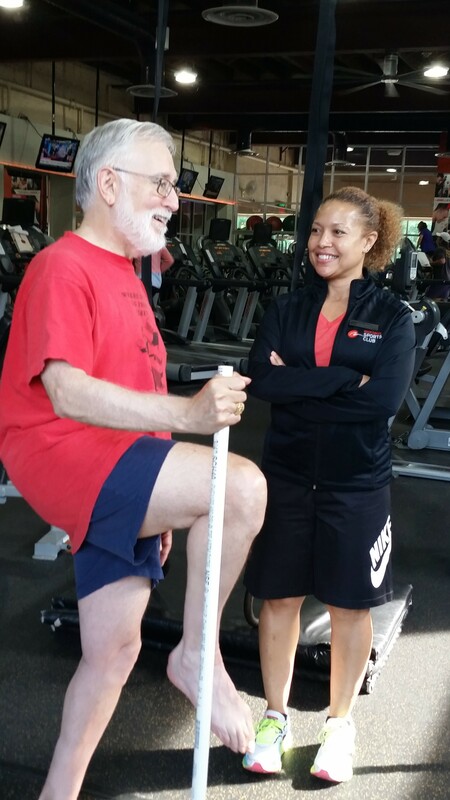 She reports he no longer has frequent knee and shoulder pain and has progressed to heavy bench presses, chest flies, and decline leg presses. Next time you see Steve, or Champ, be sure to congratulate him! Natalie Webb used to be the type to work out only through occasional outdoor activities like kayaking or swimming; the types of things you can do on vacation. But in January 2015 she joined Rock Creek Sports Club with the goal of losing 100 pounds by December 2016. 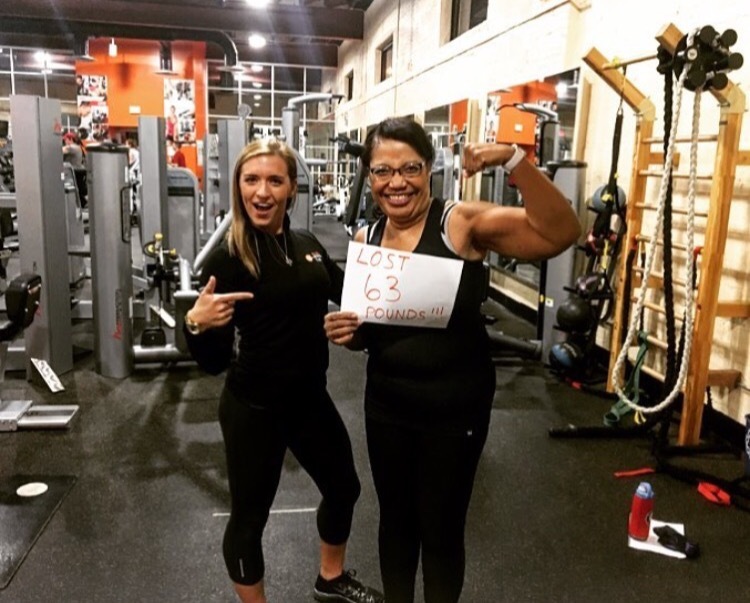 By the end of 2015, Natalie had lost 52 pounds! Or, as she says, “5 – 10 pound bags of potatoes, 2.5 automobile tires, or more than 6 gallons of water”. Because of her incredible attitude and strong work ethic, we’ve named Natalie member of the quarter for the second quarter of 2017! When Natalie first joined the club, she had also signed up for the Ride to Conquer Cancer, a two-day, 150-mile cycling journey through the DC Capitol Region, to help motivate her and keep her on track to her goal. As a new member at RCSC, Natalie mentioned this to Hadji, our sales manager. 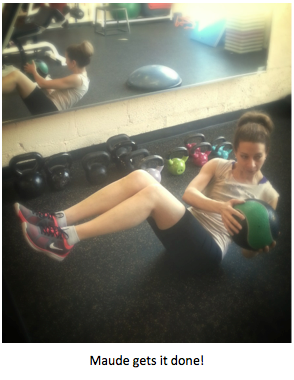 Natalie also added Pilates to her routine in order to add the 6th component to being a strong cyclist (that she learned from a cycling magazine); flexibility. Natalie was hooked quickly on Pilates Reformer sessions with Claudia Corwin. 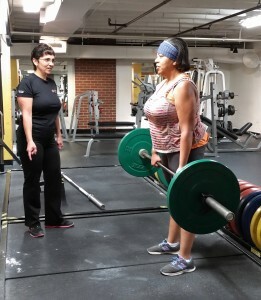 Like many, Natalie has had to overcome challenges, such as understanding that some weeks you won’t lose weight and finding the drive to come workout on cold, dark days. However, Natalie persevered and was able to participate in the Ride to Conquer Cancer, as well as snowshoe and cross country ski in Vail; hike Sargent Mountain in Maine and run in Mayor Bowser’s Fit DC Annual Fresh Start 5k. Natalie believes she couldn’t have done all of this without the support she receives from the staff and members of RCSC, especially Tina and Claudia. Natalie cites the friendly neighborhood feel the club has. “There’s an African proverb that says, ‘If you want to go fast, go alone. If you want to go far, go together.’” Natalie says. Natalie now regularly works out five days a week, engaging in a mix of exercises, from spin, Zumba, and independent cardio to Pilates and personal training sessions. Natalie says she feels better overall and that her “knees, back and hips are truly grateful for the weight loss.” She also says being active has helped her get better sleep and be more productive at work! Next time you see Natalie be sure to congratulate her on her hard work! If you would like to track her journey, she has been posting updates on Twitter and Facebook, so feel free to follow her to hear more! 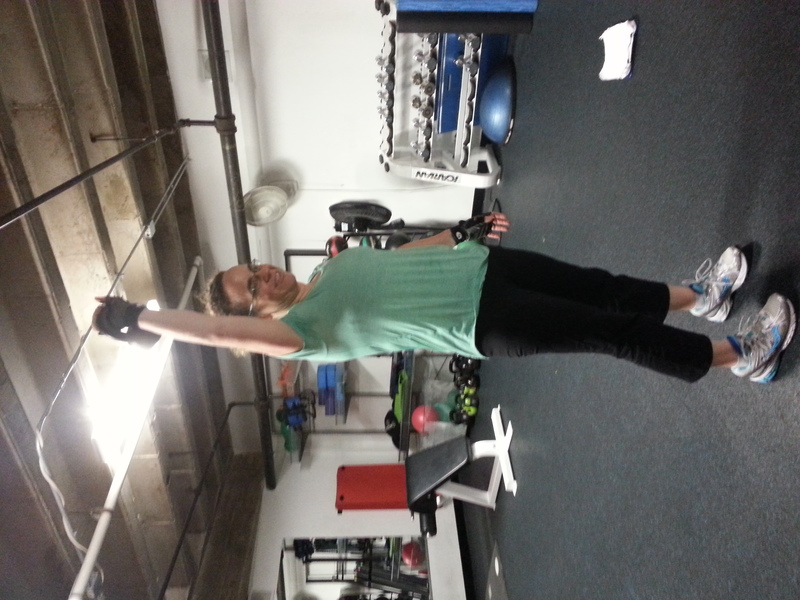 When asked why she works out, Maureen Zaniel, had a multiple reasons to share. Reasons that brought her to the gym, a reason she decided to kick up the intensity, and a reason she’ll continue to keep coming back. 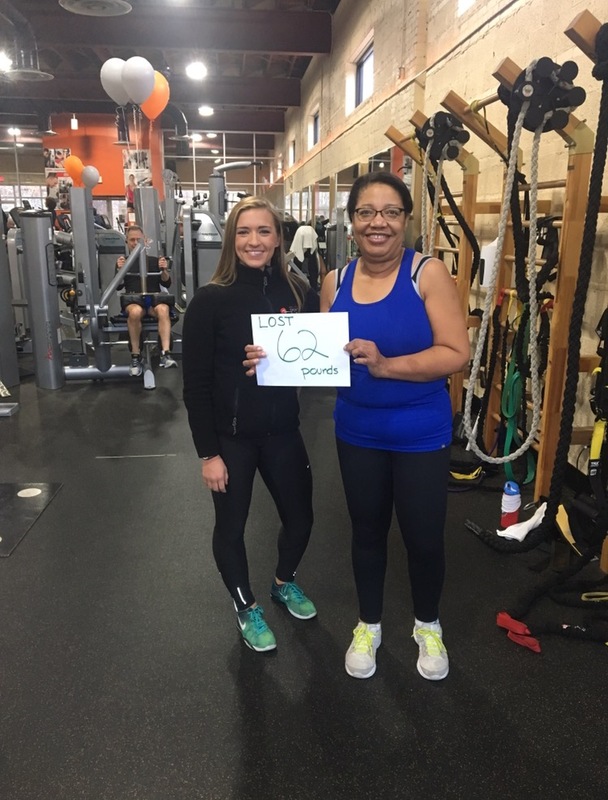 No matter what her goal is, one thing we at Rock Creek Sports Club know for sure, Maureen will reach it – which made her a perfect choice for our latest Member of the Quarter! 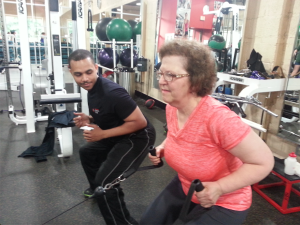 “At age 64, Maureen Zaniel can do more than most people half her age,” explains Sharon Sellers, Personal Training and Operations Manager at Rock Creek Sports Club. It all started about 5 years ago when Maureen decided she wanted to lose some weight and increase her fitness, to help her tennis game. 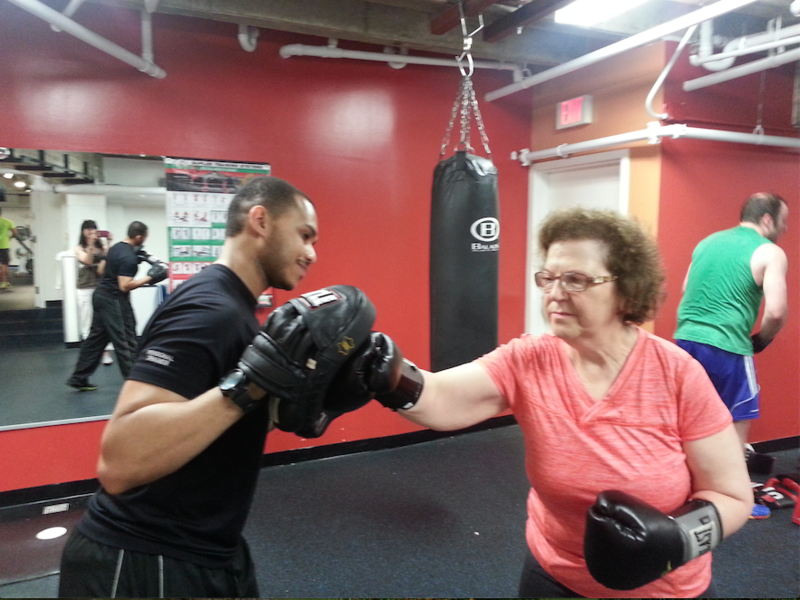 Then after moving to Silver Spring about a year and half ago, Maureen joined Rock Creek Sports Club. To keep up her game, she keeps her workout routine well-rounded by personal training with Kolon Diallo, small group Tabata Training with Sharon, and some light cardio, like walking and treadmill work. But she didn’t stop there, when Maureen’s daughter made the announcement that she was getting married, Maureen told Sharon she wanted to make sure she had enough stamina to dance all night. “I actually suggested to Sharon that I should have a couple of drinks before we did Tabata, you know, to simulate real life,” jokes Maureen. Of course, they didn’t actually do that, but Kolon and Sharon made sure Maureen worked hard enough to have all the energy (and then some!) that was needed for this very important role. And, speaking of her daughter, Maureen says it’s the reason she’ll continue to make sure fitness is a part of her life. 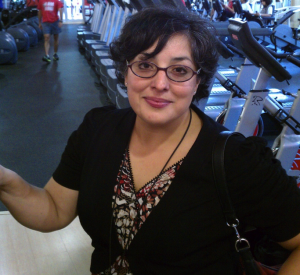 Low energy levels coupled with concerns about being weak and underweight prompted Anjli’s husband to convince her to join Rock Creek Sports Club about two years ago. This was only the beginning. 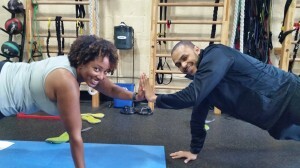 Valerie Ross is a perfect example of the fact that, with time, patience, and enough hard work, you can go from 10+ years of inactivity to winning a planking contest against a naval officer and hiking Machu Picchu! 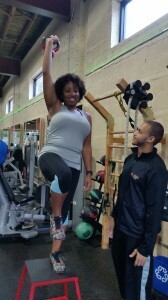 That’s why she is our newest Rock Creek Sports Club Member of the Quarter. When some of your favorite activities include rock climbing, scuba diving, and road racing motorcycles, you definitely have to stay fit! Which is why you’ll see one of our favorite couples — and our newest Members of the Quarter — Sam Fleming and Melissa Berkoff in the gym training several times a week getting ready for their next big adventure.